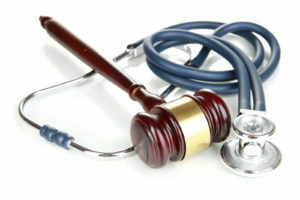 What is Considered Medical Malpractice in Maryland? The lawyers at Cardaro & Peek have been litigating Medical Malpractice cases in Maryland and Washington D.C. for over thirty years. There are numerous types of injuries and mistakes that could qualify as a medical malpractice claim in Maryland. Common examples include misdiagnosis, surgical errors, birth injuries, brain damage, and medication errors, to name a few. If you believe that you are a victim of medical malpractice in Maryland, it’s important to contact an experienced malpractice attorney for legal support. Learn more about Maryland malpractice law and call Cardaro & Peek today for further assistance. Medical malpractice laws differ from state to state, which means that a claim made in Maryland may not apply to a claim made in Virginia or Delaware. To win a case in Maryland, the patient must show that the hospital or healthcare professional violated the standard of care. Examples of a breach of care include failing to administer treatment properly, failing to inform a patient about the risks of treatment, misdiagnosing a disease or issue, prescribing the wrong medication or the wrong dosage of medication. In Maryland, it’s important for the patient to show that the medical professional’s breach of care is the direct reason for his or her injuries. Under Maryland law, patients have a certain amount of time to file a claim against a healthcare professional or healthcare facility for committing medical malpractice. Typically, the statute of limitations in Maryland consists of three years from the date that the medical malpractice occurred or from when the injury was discovered. Due to the strict time limits in Maryland, it’s imperative that patients seek legal counsel as soon as possible. Maryland law allows victims to collect several types of damages if he or she wins the medical malpractice claim. Compensatory damages compensate a patient for medical bills, loss of wages, and pain and suffering (non-economic damages). In some cases, victims can also collect punitive damages. Punitive damages are awarded more rarely than compensatory damages in Maryland, as the cases are often more difficult to prove. This entry was posted on Thursday, April 11th, 2019 at 11:07 am. Both comments and pings are currently closed.